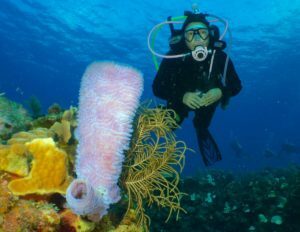 5 Open Water Dives and Open Water Certification. The SDI Advanced Scuba Diver Development Program was created to make truly “Advanced Divers.” During the course your Instructor will take you through four complete SDI, TDI, or ERDI specialty courses (for example; Deep, Compass Navigation, Photo, Video,Shipwreck search & salvage, etc.) covering all the skills and subjects, so that by the end you will feel comfortable to conduct dives of a similar nature.Once you have logged your 25th dive (these can include any and all training dives), visit Loves Park Scuba your local SDI facility with your logbook and verification of completing four SDI, TDI, and ERDI specialties and you will be awarded the SDI Advanced Scuba Diver certification.